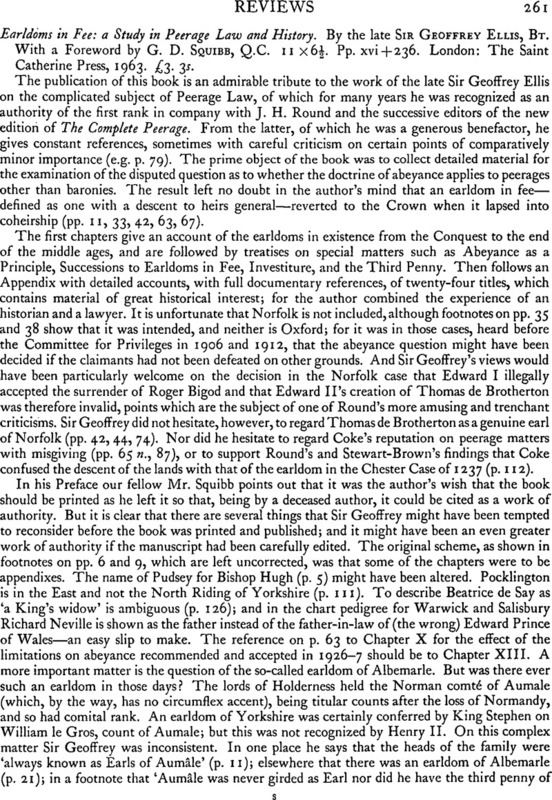 Earldoms in Fee: a Study in Peerage Law and History. By the late SirGeoffrey Ellis, Bt. With a Foreword by G. D. Squibb, Q.C. 11 × 6½. Pp. xvi + 236. London: The Saint Catherine Press, 1963. £3. 3s.